When taxpayers vote in Florida and beyond, they should take “Grover’s Guide” to the polls. Americans for Tax Reform’s (ATR) one-page evaluation of the presidential contenders finds all three Democratic candidates totally hostile to tax relief, while former New York City mayor Rudolph W. Giuliani is the White House contender most dedicated to letting Americans keep much more of their money. ATR’s “Presidential Candidate Tax Matrix” indicates whether White House hopefuls of both parties favor or oppose 11 different tax reforms, among them: ATR’s Taxpayers Protection Pledge, making President Bush’s tax cuts permanent, killing the Death Tax dead, repealing the Alternative Minimum Tax (AMT), new cuts in capital-gains taxes, and health-related tax reform. No one of either party favored “territoriality.” Taxing only income generated on U.S. soil is an idea ahead of its time, at least among these presidential aspirants. Neither Hillary Clinton, nor John Edwards, nor Barack Obama supported any of these or the other tax-related issues on which ATR analyzed them and their GOP rivals. Republicans ranged from middling to enthusiastic supply-siders. When ATR released “Grover’s Guide” last Friday, McCain backed only three reform concepts, earning him a 27. However, he subsequently endorsed cutting the 35 percent corporate tax to 25 percent and fully expensing the acquisition of all business assets. These additional items brought McCain’s score to 45. The high end of the spectrum is Giuliani Country. He seems eager to continue the energetic tax cutting that helped define his two terms at Gotham’s city hall. As mayor, he lowered the overall tax burden by 17 percent, reduced the top tax-rate by 21 percent, cut taxes 23 times, and helped New Yorkers keep $9.8 billion in their pockets, rather than dispatch those earnings to the city treasury. Giuliani has yet to embrace 100 percent, immediate business expensing, nor territoriality. But beyond that, he is with Norquist and ATR on nine of 11 issues. What would Giuliani do if elected? On January 9, he unveiled an optional, one-page tax form that taxpayers could file each year, if they wished. It would collapse today’s six tax rates (up to 35 percent) into three: 10, 15, and 30 percent. He would cut corporate taxes (35 to 25 percent), reduce capital-gains taxes (15 to 10 percent), kill the Death Tax, and index the AMT before snuffing it out. He also would make President Bush’s tax cuts permanent features in the U.S. Tax Code, although taxpayers each year could pick between it and Giuliani’s three-tier Fair and Simple Tax. “Your Money, Your Choice,” is how Giuliani sells it. 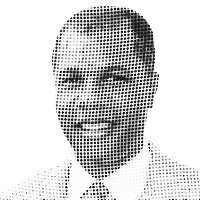 – Deroy Murdock is a New York-based columnist with the Scripps Howard News Service and a media fellow with the Hoover Institution.